Augmented reality is billed as a technology for the future. But that's only true for regular consumers like me and you, as companies work to miniaturise tech, build apps and find use cases for regular, everyday use. But AR has been in use for years by businesses and industries looking to solve real problems. For these problems, AR isn't some magical tech that will eventually make life easier. It's doing so now. How is it being used to solve problems today? We've scoured the world to find the best ways AR is helping out right here and right now. Let's take a look. Online shopping is supposed to be easy. You can browse and buy things from the comfort of your own home, lounging around in your underwear if you like. The problem? Sometimes you don't know if something is going to work by seeing a picture on a website. That's where AR comes in. Ikea, for instance, uses augmented reality to put its furniture in your home. You can see how that cabinet looks next to your TV, or whether the chair works with that particular colour of your wall. There's even clothing, like Warby Parker's app, which you can use to scan your face and see whether a pair of glasses work on you. Similarly, there's Sephora's Virtual Artist, which you can use to test makeup. Unlike Ikea's, these versions of AR implementation are a little more difficult to use in a wearable AR headset because they're aimed at looking at yourself. Still, they're all solving problems right now. Medical training is an expensive beast, as you not only need the facilities for surgeons-to-be to practise, you need to invest in equipment and dummies or cadavers to work on. In an equipment arms race, this means the best schools are best equipped and the others are kind of screwed. Not so, thanks to augmented reality. You can use apps like Touch Surgery to practise on a virtual body, making all the incisions you need and learning what happens when you do the wrong thing as a surgeon. Of course, this doesn't fully replace the weight of actually doing a surgery on a person, but it's a good step forward that can help even the playing field and lead to more experienced surgeons. That's a win-win. Building often relies on 2D blueprints that can be difficult to interpret at the construction site. Workers have to do some mental gymnastics to understand what they're lining up or what they're doing. Augmented reality solves that by allowing construction workers to see the plans on site in context. With Trimble's app on HoloLens, they can better see how piping will work, or where electrical wires need to go. It helps them not only line things up better, but it gives them a more robust looking at what they are building. This allows them to focus more on other things – like making sure construction quality and build materials are up to par. The world of logistics is cutthroat. We're often used to getting our online orders within two days, which means logistic companies like DHL and UPS need to be as efficient as possible to get us our packages. 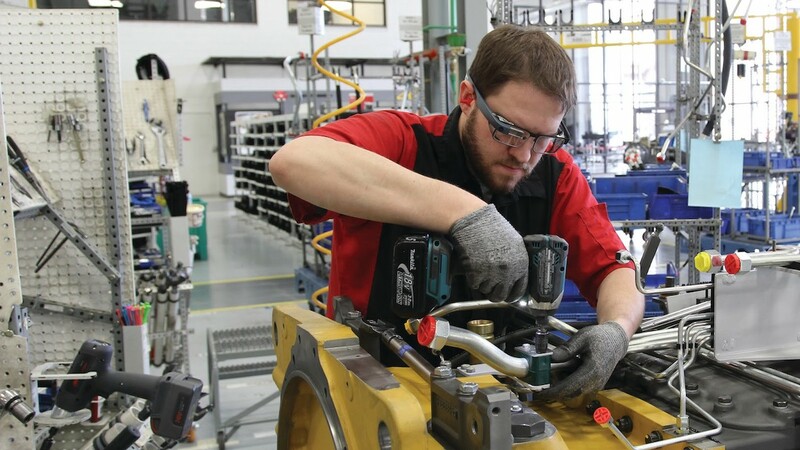 DHL achieves this by outfitting its warehouse workers with augmented reality glasses that can give them the shortest routes to picking up and shipping certain items. It cuts down on their travel time, which makes them more efficient and gets us our packages quicker. Another feature is vision picking, which allows workers to scan things quickly and be showed a graphic of where it's going. This way they don't have to rely on bulky hand scanners and paper instructions. Wildfires are a major threat in places like California, and fire fighters spent a lot of time planning out the best ways to mitigate fires when they break out. They need to have quick, effective strategies to keep communities from burning down. At the same time, events like spontaneous fires – such as house fires – need quick information at the scene. Augmented reality can help with both of these things. The Menlo Park Fire Department uses a technology called EdgyBees, which overlays video feeds with the information needed to fight fires, like maps, building layouts, points of interest and more. Forest fires, on the other hand, need a lot more planning. Fire fighters need to keep track of the state of a forest, whether there's a bunch of underbrush and the geography of a location. For that, they can use something like the AR Sandbox, which was used by Cal Fire at one point to plan against large wild fires. It allowed them to simulate how a wildfire would spread in a certain area, then allowing them to test out different fire fighting techniques.